Unique Active - Coagulate: Immune to all effects for 1.5 seconds, unable to move, attack or use abilities. Design Notes: We feel that Immunity as a challenger ability effect is very strong for survivability during actual battle. However, due to the existence of Flicker, many challengers face the dilemma of choosing between the two. Thus, we have moved this powerful effect to the Mage item, Arctic Orb, so that some challengers can have both Flicker and Immunity, which will increase the diversity on battlefield and the depth of gameplay for Mages. 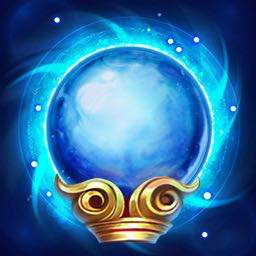 Usage: We recommend that all Mages use the Arctic Orb for survivability when there are many Assassins or Warriors on the opposing team. The 1.5 seconds of invincibility can give teammates enough time to help take control or limit charges by opposing Assassins and Warriors. Unique Active - Rock Shield: 3 seconds after activation, gains a shield with 50% of the damage taken in those 3 seconds + 12% of max HP. The shield lasts for 3 seconds. The player's damage dealt is reduced by 70% for 3 seconds after activation. Design Notes: We feel that many Tanks are being ignored and not chosen for battle as their output cannot compare with that of Warriors and they pose less of a threat that Warriors. We feel that Tanks are very important for a team, especially in regards to the damage they can take. Thus, we have introduced the Rock Shield, which increases the damage that can be taken by a Tank by decreasing their own output. As the strength of the shield depends on the damage dealt by the opponent, this also increases the competition between both parties. Usage: Due to equipment attributes and the fact that output will decrease after the activation of Rock Shield, we recommend that Tanks use this item to activate Rock Shield when charging at the enemy during a teamfight, absorbing damage to generate a strong shield that creates a good output environment for the team. Active: Life Steal is increased by 90% for 3 seconds after activation. Design Notes: In our game, Assassins and Warriors are better at breaking through the enemy ranks, so Marksmen often seem less useful in comparison. The Anabolic Rage Bow is an item that is very good value for money in the late game, providing a strong Life Steal effect for 3 seconds. This gives Marksmen a better chance against approaching Assassins, especially when paired with support equipment. 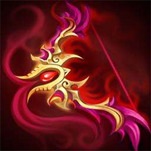 Usage: We recommend this item for Marksmen who are already quite capable of protecting themselves. For example, Moren who has high physical and magic defense, Slimz who has high agility, or Marksmen with a strong team composition. Activate Anabolic Rage when the attacks from Warriors or Assassins and fight to the death.